If you’re a fan of the Retro 11 Low then you should be looking out this spring and summer for all the latest looks. 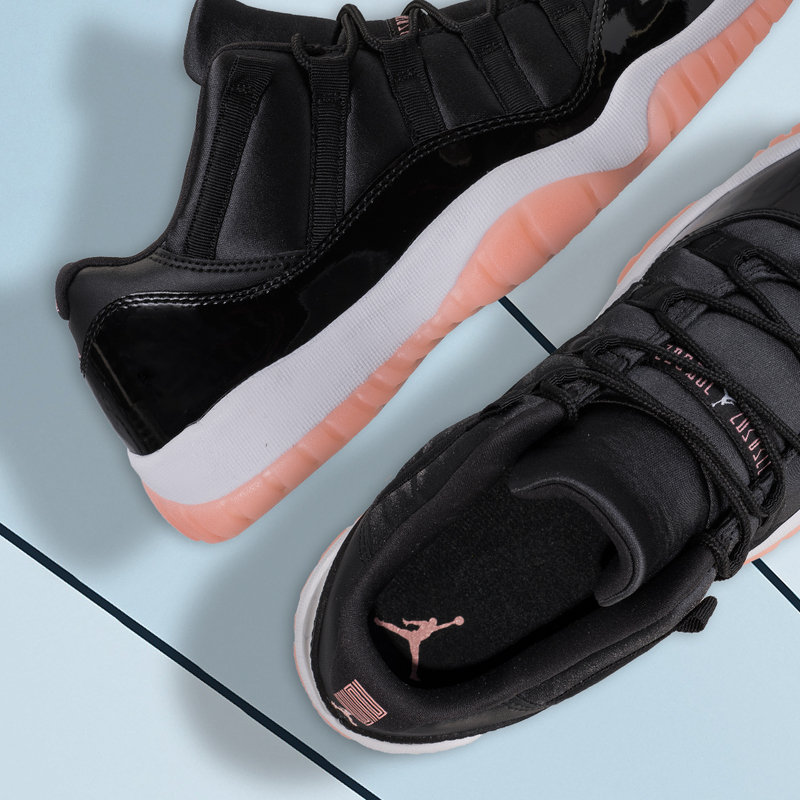 Up next is ‘Bleached Coral’ and with the traditional look of an 11 Low with a patent leather all black upper, the peachy coral outsole contrasts perfectly. The low top design is well suited for warmer months ahead and you can keep your Jordan rotation fresh. Ladies, size down 1.5 for a good fit and make sure you let us know what you think on @finishlinewomen. Get your pair of the Girl’s Retro 11 Low ‘Bleached Coral’ 4/7 at finishline.com.